We first met the fine folks at AfterShokz at CES 2012 when they released their first set of bone induction headphones. Every year we stop in and see the latest version of bone induction headphones and CES 2016 is no different with AfterShokz showing off their new wireless Trekz Titanium headphones. You might have heard about these headphones thanks to their recently ending Indegogo campaign that saw AfterShokz raise just under $700,000 which was a hair over 10x their original goal. The new Trekz Titanium version of AfterShokz's bone conduction headphones features a titanium frame that is designed to be durable enough to stand up to any activity you can think of. In addition, the Trekz Titanium also features dual noise-cancelling microphones so making clear phone calls won't be a problem. We've arranged to review these new headphones in the near future so make sure to keep tuned in to BCCHardware for that upcoming article. 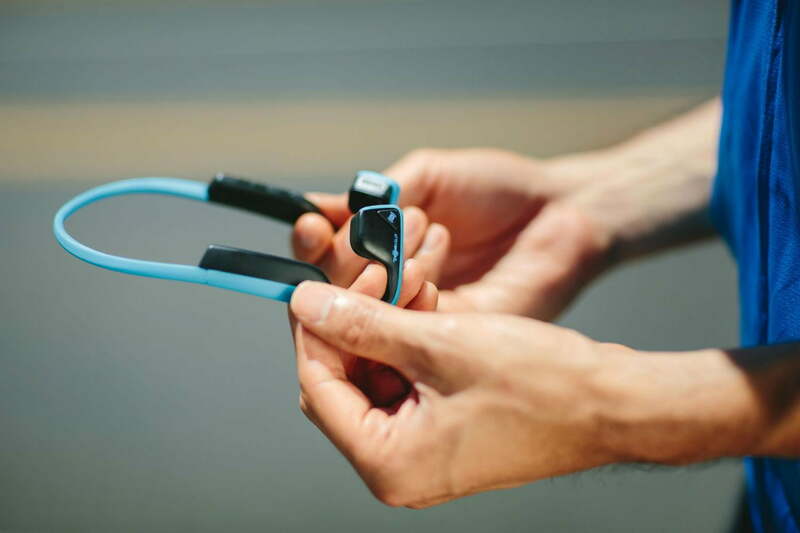 In the meantime, if you'd like to find out more about the Trekz Titanium bone conduction headphones makes sure to check out AfterShokz's website. For more pictures from our visit with AfterShokz as well as everything else we saw on day 3 at CES 2016, check out our 2016 CES picture gallery.